The Willows, at the end of Thompsons Road, off Old West Coast Road in West Melton, is in the midst of a makeover as it is redeveloped for non-motorised recreation facilities. 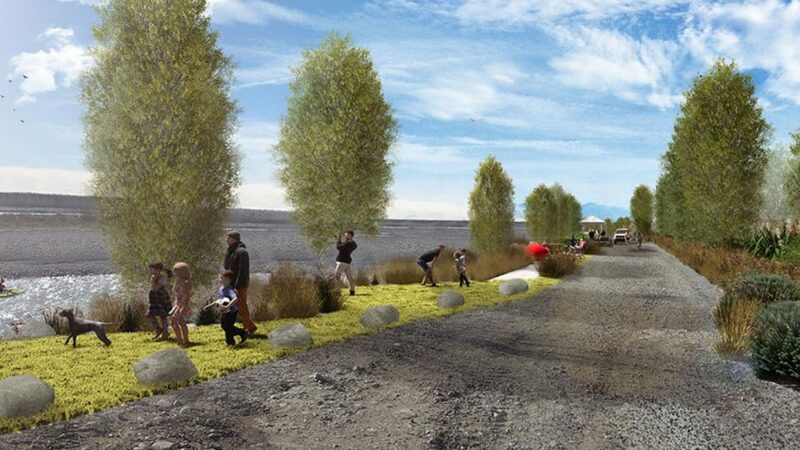 There are plans for walking and cycle trails and a lookout as well as a dedicated motorhome camping area with the New Zealand Motor Caravan Association on the 34-hectare site. Environment Canterbury’s team leader parks and forests, James Page, said the opening of The Willows was a good addition for the area. “The Willows is a great example of what can be achieved when commitment and a lot of hard work go into what once was an area that few dared to enter. We are sure the public will embrace The Willows as their local go-to recreational area. “We’ve been pleased with the buy-in we’ve had from the local community and look forward to this being a strong asset for Canterbury’s parks for years to come.” Mr Page said that given The Willows will be used for non-motorised activities, Weedons Forest will be available for off-road pursuits, including a dedicated trail bike area. The revamped Willows Recreation Park will be officially opened on Saturday, April 13. Ahead of the opening, approximately 75 children from West Melton School will help with planting at The Willows on Thursday, March 14. This event is not open to the public. People who are interested in attending the public Parks Week events can contact the Environment Canterbury’s parks team on duty.ranger@ecan.govt.nz.